On the same day that I saw the first trailer for the new Star Wars movie, due out in December, I saw this great tribute to the late Carrie Fisher. It shows just what a funny and feisty woman she was. Thought I’d share it with you guys. I read this post in shock last night. Poppy, whose blog I follow, posted about the death (and alleged murder) of another, lovely blogger that I followed (and she followed me). It was strange how the death of someone so far away affected me. The words we write, the words you write, matter. Technology allows us to make connections with people we would otherwise never meet. It can bring both joy and sorrow. R.I.P Caroline. Thanks for all of your encouraging words and sentiment. A Viking Saga: Choose love and live your truth. This world is beautiful, messy and bloody with no way of avoiding what is coming. We have so little time to take it by the horns and live it with dignity, courage and humour. Caroline Van Ewijk, my friend, my viking sister and an example of just how well life can be lived. My viking sister, Caroline Van Ewijk was one of those who did, before her life was cruelly taken in the Dutch port of Hoorn, two days ago. I first encountered To Kill A Mockingbird in high school. It is one of the few things I took with me from my English Literature days. When our teacher read from the book, he would pronounce the name of the character ‘Scout’ as ‘Scoot’. One of the more vocal members of the class eventually expressed her irritation at this. The teacher appeared surprised. From that moment, Scout was always Scout. I understood the reaction towards Go Set A Watchman. But for me, it wasn’t an issue. I treated it as a stand alone novel. As an early draft of To Kill A Mockingbird, it was no way a sequel. Written before, but set after. Scout was older. I was older. I understood the high feelings about Atticus. Maybe it would help to see this Atticus as the melting pot from which the more familiar and beloved Atticus would emerge. Or to draw distinctions of perspective: in To Kill A Mockingbird, he is seen through the innocent, adoring but naive eyes of a young girl. In Watchman, he is judged through the eyes of a grown woman, returning to a small, southern town fresh from her experiences in the Big Smoke. But, to me, these distinctions weren’t necessary. I was just thankful for something, anything, new, from Harper Lee. I have never met anybody who called their son Atticus. But I do have a friend who called his daughter Scout. He is still happy with his choice. I’d had no revelation. And, of course, she was of an age. A few hours later, I finished reading Truman Capote’s In Cold Blood. On Goodreads, I gave it five stars: Brilliant and disturbing. Capote’s masterpiece. Capote never really gave Lee proper credit for the work she did on behalf of that book. Capote and Lee appear to have been polar opposites. He craved the limelight, she chose to shun it. I have read that Lee’s sister Alice said that his jealousy about his friend winning the Pulitzer Prize was one of the reasons they drifted apart. After finishing his great novel, my intention was to watch the film Capote, about the two writer’s research on the Clutter murders. Then I heard the news. My wife and I watched the movie tonight. Philip Seymour Hoffman was great as Capote, but on this poignant night Catherine Keener drew my attention as Lee. Another casual coincidence: on the day that Harper Lee died, I finished the last of Capote’s work I had yet to read. It was also the last work which had input from Lee. I have always respected Harper Lee’s decision to walk away after that first book. It also frustrated the hell out of me. There were tantalising glimpses of works that could have been: a novel about someone hunting a deer. 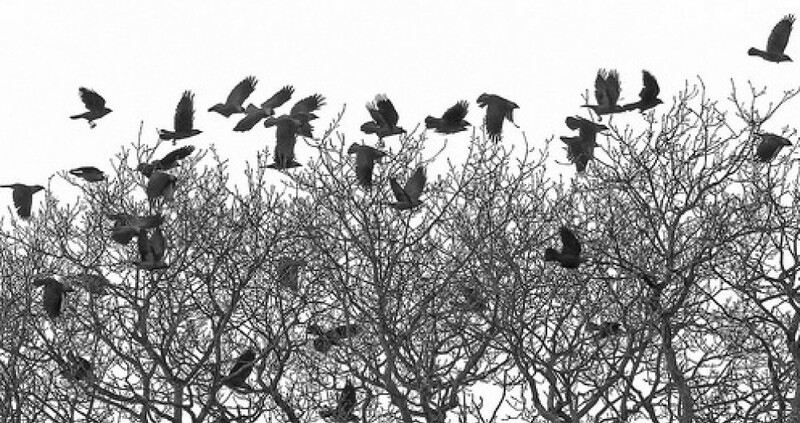 An In Cold Blood type account of real life murders, called The Reverend. Go ahead, google them, there are a few crumbs to gather up in speculation. I was a John Lennon fan before I knew who John Lennon was. My earliest recollection of him was unfortunately of the ‘what was you doing when you heard?’ variety. I was opening my presents on the morning of the 9th of December, which just so happened to be my ninth birthday. I remember seeing a newspaper lying around nearby, headlines screaming of his murder that had taken place the night before. I had no idea who he was, I just had a vague notion that he used to be in a musical group called The Beatles, and seemed pretty well known. As time went on, and I gradually became familiar with the group whose music seemed to be omnipresent, I just thought of them as a collective, rather than four individuals. I didn’t know who wrote and sang what. But then, in my early teens, as my interest and love of their music deepened, I found that the majority of my favourite Beatles songs were John’s. And of the songs that were bonafide collaborations between John and Paul, my preference was for his parts, for example on We Can Work It Out, and A Day In The Life. Not exclusively, but generally. From my younger days, every time the festive season transformed the usual fayre of the radio stations, my favourite Christmas song was always Happy Xmas (War Is Over), many years before I discovered that this was in fact a Lennon song. I was a John Lennon fan, but wasn’t aware of it yet. But now I am not as ignorant. I am a fully-fledged Fab Four nerd, and could bore you rigid with tons of throwaway trivia. Relax-I won’t. On this, the thirty-fifth anniversary of John Lennon’s death, I will leave it to his friends to make the tribute, as they sought healing through creativity in the aftermath of that December night. R.I.P John, from Paul, George and Ringo. You guys know that I’m an old Hammer fan, and so probably won’t need me to tell you how gutted I was to hear the news of his death today. 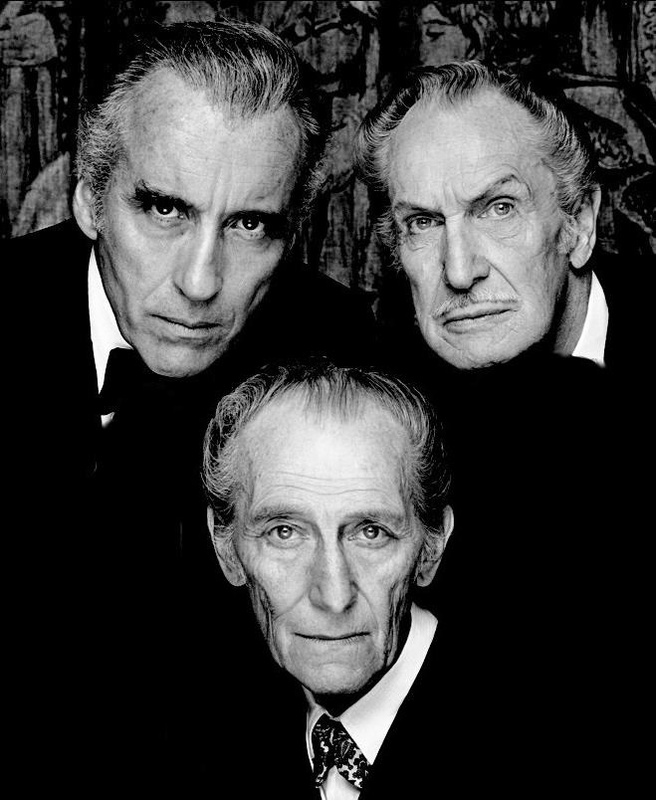 It took me right back to how I felt when I heard about the passing of that other Hammer stalwart, and Lee’s good friend, Peter Cushing. Lee had spoken in the past of their good friendship, the kind that he said only comes along once in a lifetime. I remember reading somewhere, (I’m not sure whose biography I was actually reading at the time), about how devastated Cushing was when his wife Helen died. He wanted to be with her, and had an unshakeable faith that one day he would be. One day Lee was talking to that other (non-Hammer) horror actor Vincent Price. I may not recall the conversation word for word, but you will get the gist. Price enquired about Cushing, asking if he still expected to be with his wife when he, too, died. I think that helps illustrate their friendship, and now Lee has joined his friends, the final chapter closing. Lee was a true great, and, I think, vastly underrated as an actor. I believe in the months and years to come we will realise just what a loss he is to British cinema. He played the bad guy in many films, including James Bond, and both The Lord Of The Rings and Star Wars series of films. He sang opera, and even charted in his eighties with a collection of heavy metal numbers! But I will always love both he and Cushing, (to me they were both synonymous with each other), for the many Hammer roles that this blood thirsty kid lapped up way back when. 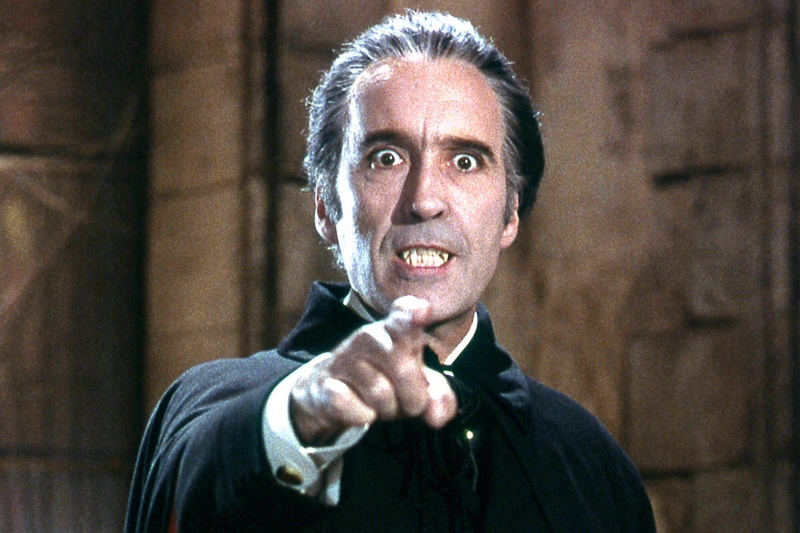 Though he may have tired of the role, he will always be the definitive Dracula. Tonight, I will watch the film where the two iconic roles began for both actors: Van Helsing for Cushing, and the undead Count for Lee- the 1958 film Dracula. I think you can take next Tuesday’s Hammer Chooseday post as a given. Thanks for the memories. And the sleepless nights. 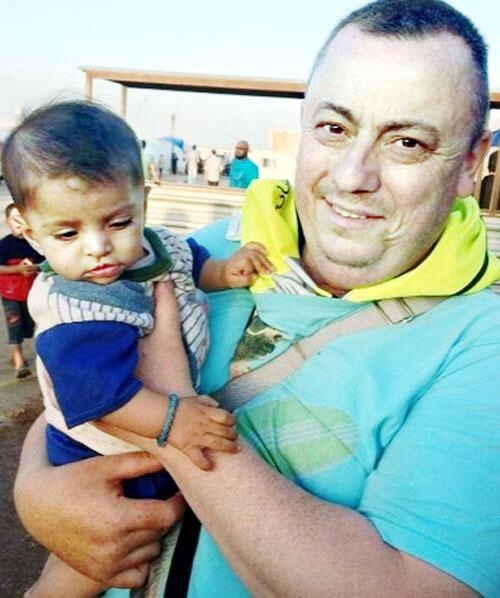 So the news broke that everybody had been dreading: Alan Henning had been killed in the most hideous way by his Islamic State extremist captors. Family, friends, colleagues and strangers waxed lyrical in heartfelt tributes to a man who had gone to Syria on an aid mission, a man who was moved to act by the suffering and welfare of others. But also could be heard, by a smaller minority, the observation that Alan had been warned not to go as he would be in very real danger of being kidnapped or harmed, which is ultimately what happened. Valid perhaps though this view is, I have heard a couple of remarks that Alan Henning died because of arrogance-arrogance that he chose to ignore the warnings given and went ahead on his mission regardless. I think that is going too far-to call a man arrogant because perhaps his courage of compassion far exceeded his fear of personal harm. Martin Luther King received constant death threats, but these did not deter him from leading the civil rights movement. His eventual murder did not make him arrogant. Dietrich Bonhoeffer chose to return to his native Germany, less than two years after seeking sanctuary in America, knowing the risks that awaited him there. His execution in 1945 does not make his act one of arrogance. Both of these men knew the risk that they were undertaking, but the strength of their convictions in doing what they perceived to be right caused them to continue. You, the reader, can no doubt think of countless others who have sacrificed themselves in such a way throughout history. For every one of these noted individuals, there must be thousands of others, maybe known only locally, who so acted in such a similar, selfless manner. If all altruistic action was abandoned out of fear, where then would we be? What state would humanity find itself in? Although undoubtedly his family and loved ones are hurting, I admire Alan’s actions borne out of a compassion that is far more courageous than my own. My thoughts and prayers are with all other hostages still in captivity throughout the world, and with their families, and also with the brave people who make the choice to continue in trying to make a difference, despite everything.